Distress Paints are very fluid water-based acrylic paints for multiple surfaces. Tim Holtz and Ranger developed these special paints to be reactive with water, perfect to accomplish a wide variety of artistic techniques. 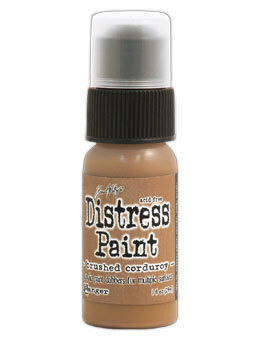 Distress Paints have a convenient dabber system for easy and mess-free application. Use with stamps, paper, wood, metal, glass, plastic and more for a timeless matte finish on craft projects.